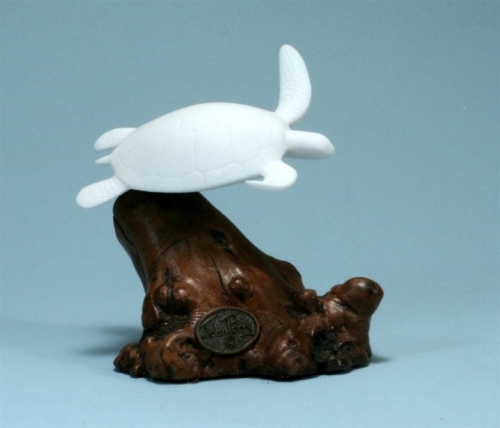 This stunning Single Sea Turtle Sculpture is mounted on a unique burl wood base. Handmade of a versatile resin compound called "Pellucida" that can be presented in a variety of colors and textures and adapted by state of the art molding techniques. This master piece is a frosted white version that resembling bisque porcelain. Whether it is your first piece or one of many in your personal collection, it will bring you and your family a lifetime of pleasure. Made in USA! *Each base is unique, no two bases are exactly alike, sizes vary.